The 2nd Annual Gateway Invitational got underway on October 6, 2012. The Overland Community Center in Overland, Missouri was once again the venue of where the largest tournament in the state of Missouri. With the Gateway Grand Championship at stake 112 competitors would be jockeying for position in order to get their hands on that coveted trophy. 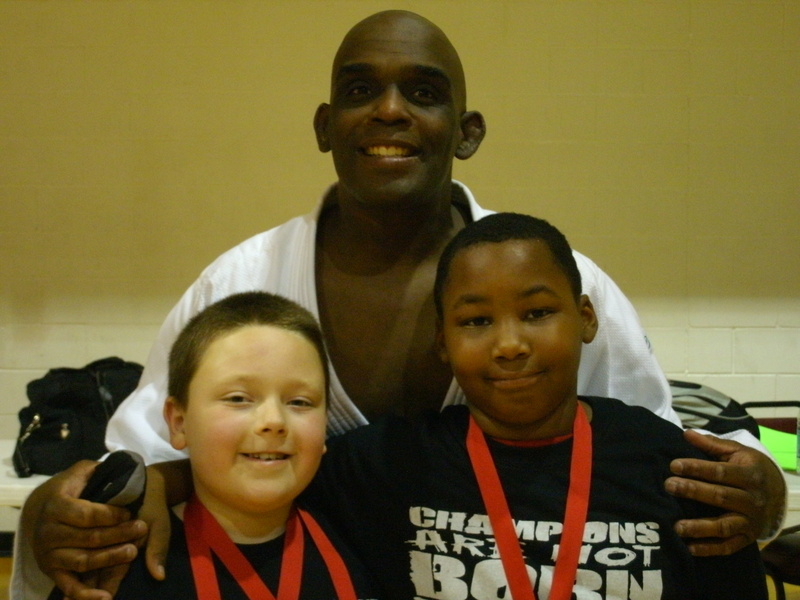 Derick Wellman and White Dragon Judo Club hosted this tournament for a second consecutive year. The club received assistance from volunteers, parents, and sponsors to make this tournament possible. Demonn Smith and Dan Dillon took there turns at the coach’s seat for the junior team. 2012 Junior National competitor Anthony Darevesky took another gold home for mom to display. Koreyon Harris scored gold with some thunderous throws for ippon. Devin Busch had his work cut out for him in a huge talented division. He scored an ippon with osoto gari in the semi final to put him in the gold medal match. Busch executed a beautiful kosoto gari for wazari late in the finals which was enough for the gold. Shawn Butler fought extremely well going 3-1 on the day for a silver medal. Eden “El Magnifico” Vasquez showed strong potential with a bronze medal finish. Issac Valdez Soto and Jeric Gymahin also scored bronze in their divisions. Mackenzie Baird ran the table for gold in the Junior Girls 9-10 years old division. She finished the day undefeated. Jocelyn Butler also gained her 2nd gold medal of the year. Lady Butler displayed beautiful judo winning her finals match with ippon seoi nage. In the senior men’s division, Tae Young Choi went 3-1 on the day and took silver. The ladies lightweight division was the most competitive of the tournament. Tiffany Choi scored gold. The highly ranked Anna Feygina took bronze. Eugene Hamilton made his debut in the Master’s division a worthy one by taking gold in the lightweight division. Rob Handshy displayed some awesome ne waza but lost a heartbreaker in the final to take the silver. Jonathan Jones rebounded and fought hard to a bronze medal. Demonn Smith continued to impress his peers with a relentless offensive attack style. Smith’s technique proved to be unstoppable as he took his second consecutive Gateway Master’s gold. This year’s tournament fell nothing short of AWESOME. The date for next year’s Gateway Invitational is already set. It is already predicted to be a very competitive tournament with judokas coming from all over the region. 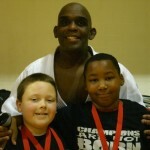 White Dragon Judo Club thanks you for your support and hopes to see you on the mat next year.